The United States of America is almost 320 million people strong. We live spread out across a diverse slab of land stretching almost 3000 miles across, not counting our noncontiguous states and territories. Our armed forces are stationed on 662 bases in 38 foreign countries and on 19 aircraft carriers traversing the high seas. Why do we pay taxes? Because this stuff is expensive to maintain. How expensive? Try almost four trillion dollars in 2015 alone. And that’s just federal spending. It’s a sum of money we can’t even fathom – is there even that much cold hard cash in circulation? At that level the individual dollar, and even the individual million dollars, is a fleck of paint on the Sistine Chapel. Yet it all has to come from somewhere – mainly the fruits of hard earned income harvested at tax time. Griping about paying the government their “fair” share of our wealth is a human experience as old as the pyramids – which were surely paid for courtesy of the Egyptian taxpayer. Any one of us can scroll through the paper trail of government spending and point out an example of hundreds of thousands or even millions of tax dollars squandered on some seemingly fruitless endeavour. We can all think of a few choice government programs and services we’d like to see slashed or obliterated altogether. However getting Americans to agree on which expenditures are the waste and which spending should stay is no easy task. 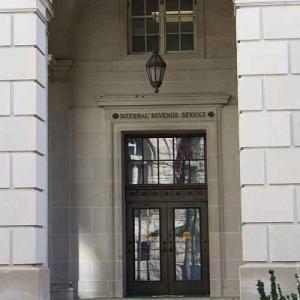 With all the billions upon billions of dollars being collected and spent every year we quickly take issue with the Internal Revenue Service when they chase after a few thousand dollars we may or may not have incorrectly reported. Can’t you guys pick on somebody else? But that’s a slippery slope. The reason so many people come running to a tax attorney or CPA is because nobody is immune from the hard scrutiny of government tax collectors. No stone is left unturned when the IRS comes around. Most people don’t have a problem with paying taxes in and of themselves. It’s the prevailing belief we’re being taxed too much that drives most people batty when it’s time to send a check or two to Uncle Sam. Sure, we can agree that the interstate highways and FBI are necessary things to have around, but if we stopped providing welfare to couch potatoes or cut back on our military then I’d only have to pay half as much, right? Makes sense, but who are we kidding? These sorts of sweeping slashes and changes to government spending would probably create new problems. Many of the couch potatoes forced to work would get a job, but many others would turn to the easiest way to make money: crime. The military would cut back, but then a decade later our more powerful enemies would surely find a new way to poke and provoke our interests overseas. The only agent capable of fixing these kinds of problems would be the government. How would they go about doing it? Who knows, but one thing’s for certain: they’d raise taxes before getting started. We pay taxes because we have to. It’s the necessary evil of civilization. There will always be waste. Taxes will always go up more than they go down. We will always feel like we’re not getting our money’s worth from the system. But in the end it’s the price we pay. All things considered it’s a small price to pay for the benefits of living under the largest government in human history. Readers, while certainly nobody enjoys paying taxes, do you think our current system and rates are where they should be? My biggest problem with taxes is the complexity of the tax code. It just shouldn’t be that difficult to pay your taxes. Flat tax rate percentages (or even a progressive percentage with 3 tax brackets). We’ve legislated ourselves into a tax code that is thousands of pages long, that requires “experts” to make heads or tails of it. Heck, there’s an entire industry (tax preparation) built on the unnecessary complexity of the tax code. Very true. Imagine the thousands that would be out work if the tax code were simplified! Agree with what you have to say. No matter how much we hate paying taxes, there is no denying that with out this tax income, we would really fall behind as a country in many areas. 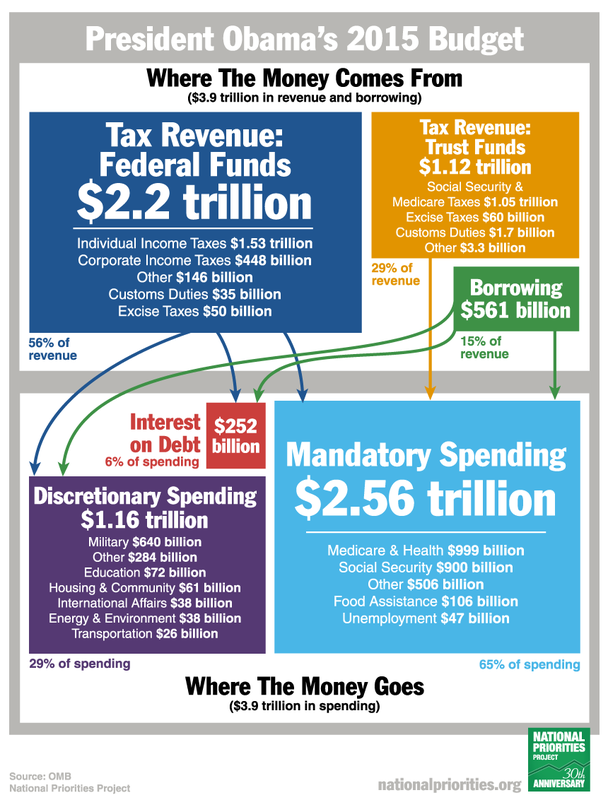 It’s really good to know where out money goes to and how US government uses the taxes we pay for. But, I still hope that they use it more wisely and for no or less corruption.